Have you ever seen the beauty of Japanese wagashi or Japanese confection? It is just a sweet thing but it has something more than that. It is mainly made from beans and sugar. However you can see something with which you can feel a season, such as cool stream in summer, an orange persimmon in fall and so on. It requires a special skill to make. However you can take a look of this traditional skill and experience it. 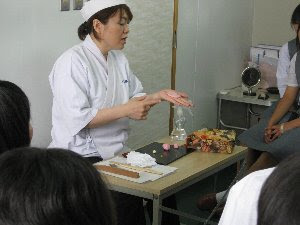 Some wagashi shop give a service of candy making class.Unfortunately, most of them require us to make a resercation a week in advance. For foreign tourists, it is a little difficult to make a decision to have the service unless you are much interested in candy making. 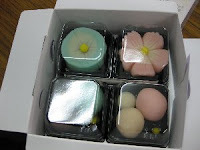 I found a wagashi shop which accept the request to have a class on the day, and not so far from the center of the city. Yoshihiro is the one which gives a class of candy making. Of course you have to call them before visiting to make a reservation ,even if it is on the very day. However, it makes us feel much easier to make a tour plan. I used this class when the plan to go to Monkey park was rained out. Though the time to start the class has been changed due to a school trip schedule which were going to have the class on the same day. 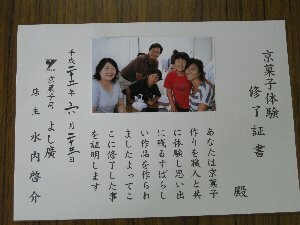 Thanks to this change, we had a class with Japanese school kids. It also made us have more fun. 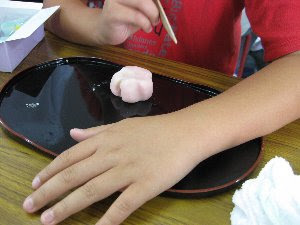 To make a real wagashi requires a very delicate work. Making a flower shape, making each petal, and making gradation changing from one color to another are difficult for us but much fun. 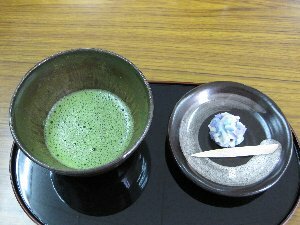 After the class we enjoy maccha tea ( tea for tea ceremony) and wagashi made in this shop. ( not your making ). And then we take a look at the professional technique. Of course you can take what you made and enjoy it later. If you have a little time to have this experience, why don't you try it? 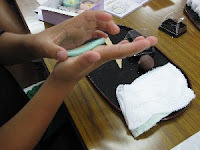 It costs 1800 yen including tea and another wagashi served after class. Sorry that this service is given only Japanese, so you need an assist of English speaking guide or person.